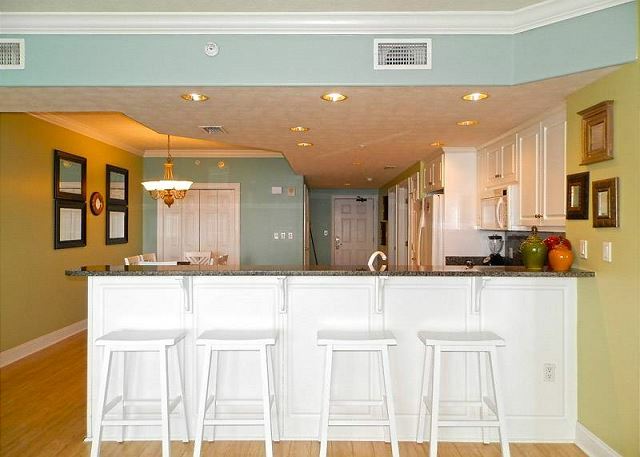 Our Treasure Island condo accommodates up to 8 guests. It has two bedrooms (master has access to balcony) and a built in bunk bed area, two full bathrooms, a fully equipped kitchen, a dining area, living room with balcony access, full sized washer and dryer in a separate utility room, and a 30 foot by 9 foot Gulf front balcony. We are located on the 19th floor. It has covered parking in a structure with covered walkovers to the condo building at the third, fourth, fifth and sixth floors. Each floor at Treasure Island has only 12 condos, and the building is served by four high speed elevators. 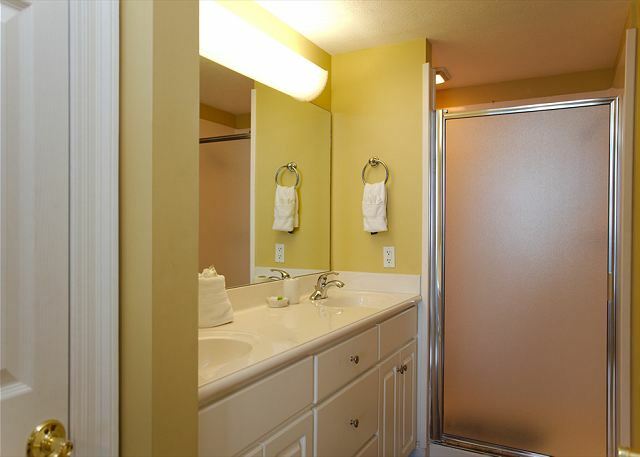 Treasure Island Resort Condominium offers the best in vacation rentals and accommodations. 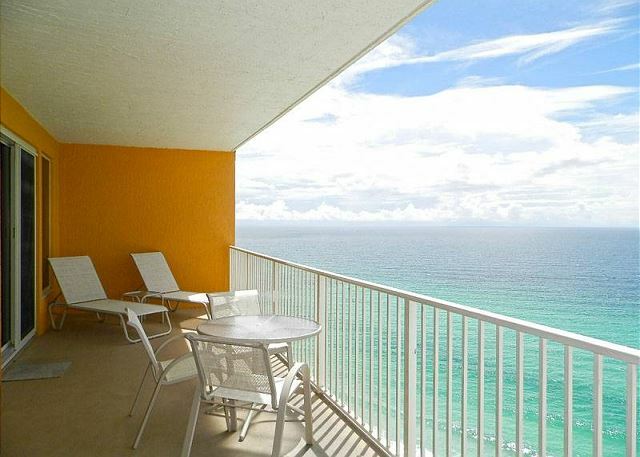 All condo units are Gulf Front with breath taking views of the Gulf of Mexico and beautifully decorated. 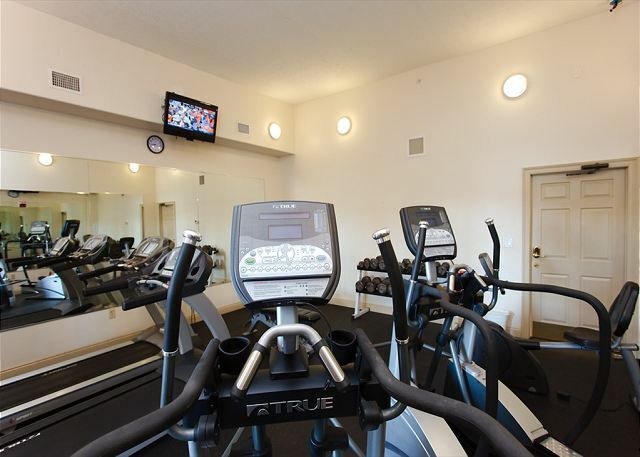 Among our resort amenities we offer a 120 foot long seasonally heated pool, kiddie pool, state of the art fitness room with gulf view, game room for the enjoyment of the whole family, and a covered parking deck. High speed internet is also available for your convenience. 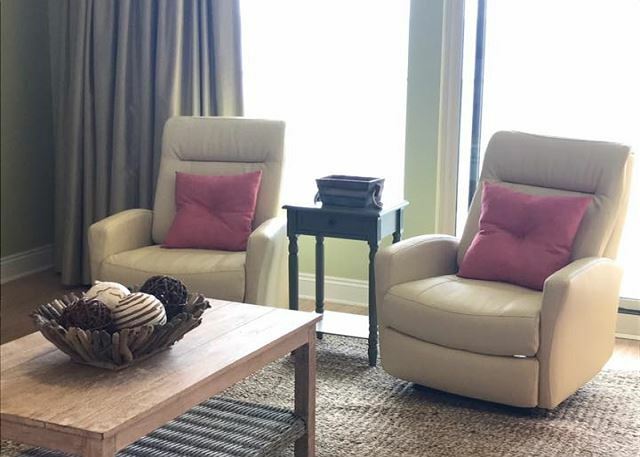 Come enjoy Treasure Island Resort Condominium on your next family vacation and discover The Treasure of the Emerald Coast and of Panama City Beach, Florida. The condo was beautiful. We had nasty weather but we made our own fu. My only complaint about the condo is that it lacked a few basic things. A hairdryer and simple things such as salt and pepper. Decorated very nicely — very clean and we enjoyed our stay. We were very pleased with our overall experience. 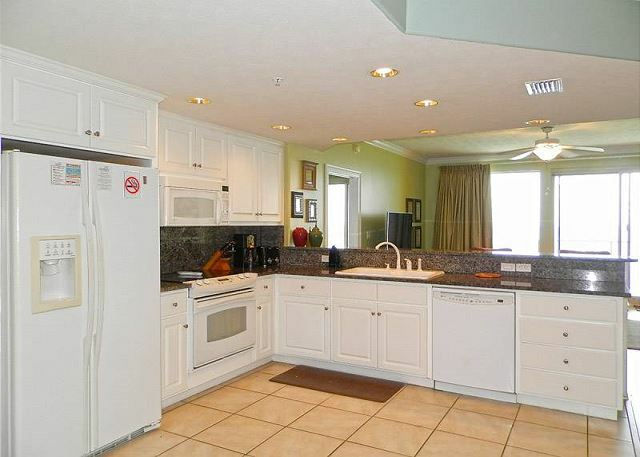 Very nice condo and family oriented. Metri was easy to reach with questions. He even called me to see if my family was enjoying ourselves. We will be back this fall! This was our third stay at this condo. They had made some changes since we came last year, new floors and furniture. It is very nice and clean. Well be returning again next year. This was just a quick getaway for our anniversary. We loved it so much that were already planning a return trip for a whole week next year. We stayed at the fabulous Treasure Island and had a marvelous trip. The pictures really do not do this place justice! Being able to wake up to the site of the ocean was amazing. We had lunch on the balcony, just enjoying the view. 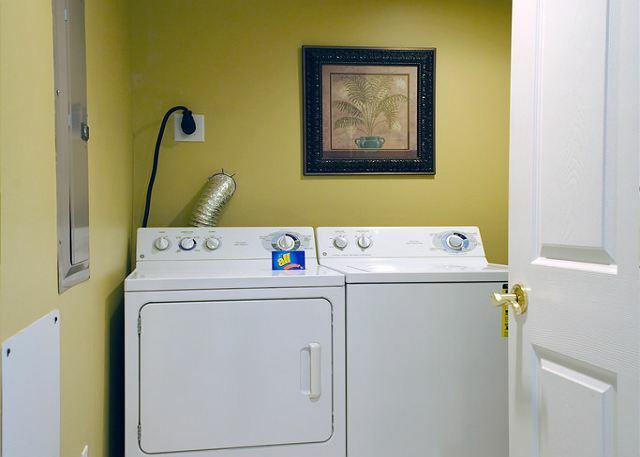 The location of the condo is perfect; there are several things to do all around it. I would highly recommend this place! Great location, great space, very comfortable for 7 people. Wonderful place for a relaxing beach week. Awesome stay! 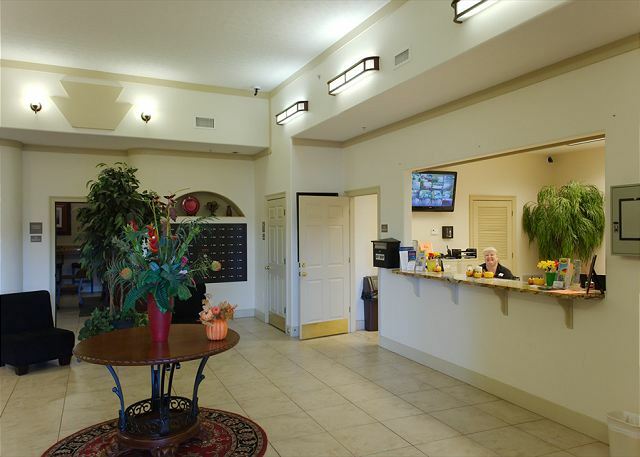 QUIET and relaxing location and a quick route to Hwy 98 to bypass the Spring Break Chaos! We so enjoyed the condo and location. Nearby Schooners dining was a favorite as well as restaurants in Old St. Andrews Bay area. Loved Captain's Table there! Played baseball at Panama City and easy access over bay bridge to the parks! If go back to PCB area would definitely stay at same place!!! LOVED the strict rental policies here!